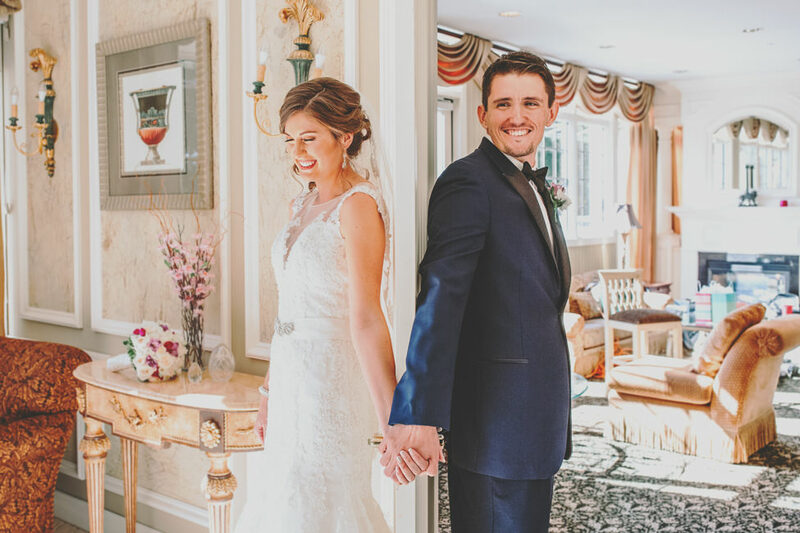 One of our favorite moments that we get to capture from your wedding day is that special time when you see your betrothed for the first time – and that’s why we’ve got 17 spectacular first look wedding photos to share with you! 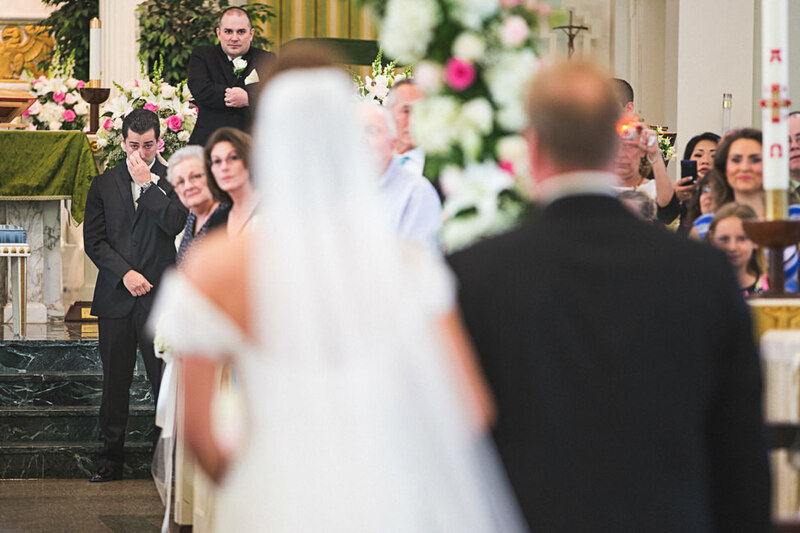 We understand that your wedding day can be a flurry of nerves, anticipation and the worrying need to make sure everything plays out perfectly. 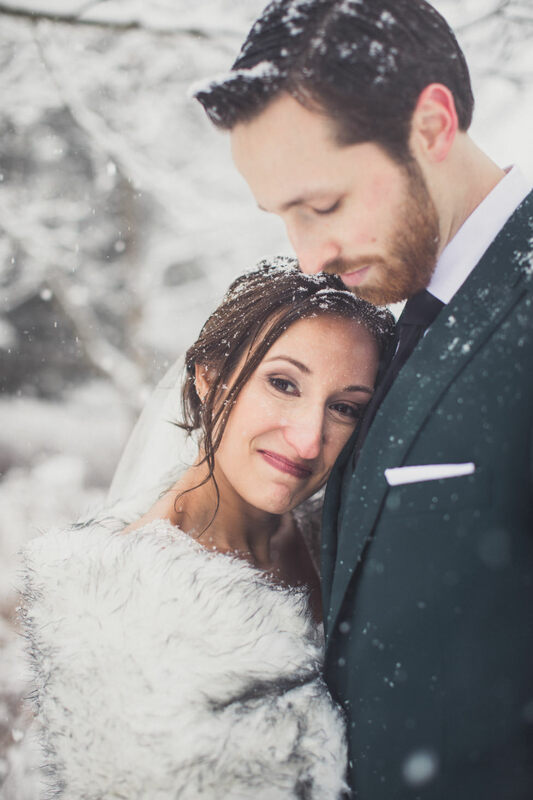 But above all, remember: you are marrying the most important person in your life; so try to take a breath, relish in this day of happiness, and make time to share a special moment with your soon-to-be-betrothed. 1. 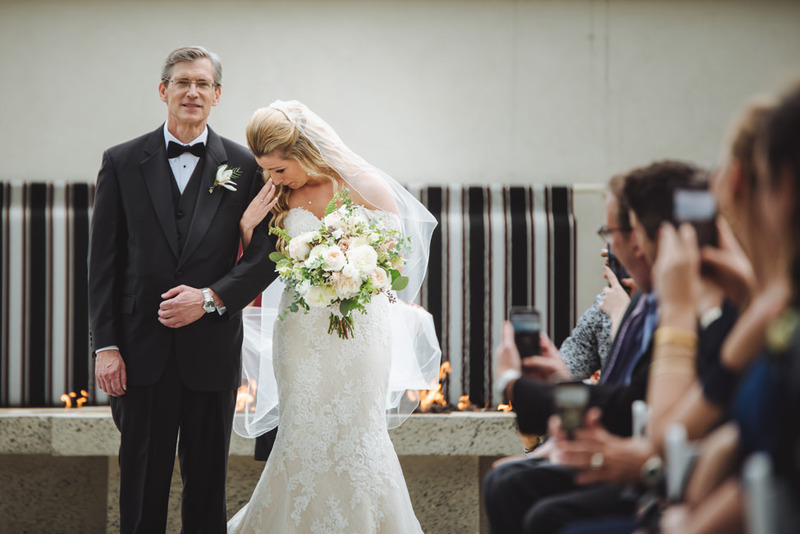 The Emotional Groom – there’s nothing like it and it makes our hearts weepy every time. 2. 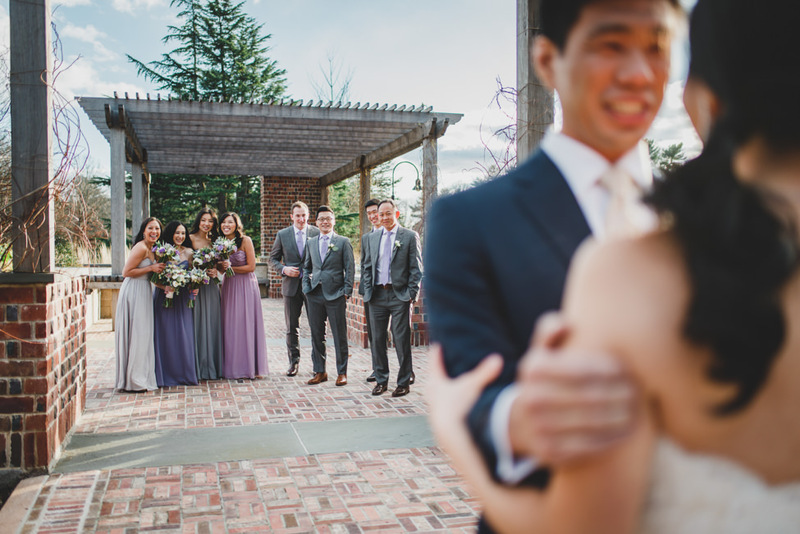 Even your bridal party can be as psyched as you are for that special first look. 3. Dry those tears, love; it’s the best day of your life. The way he buries his face in the crook of her neck – just overcome! 4. 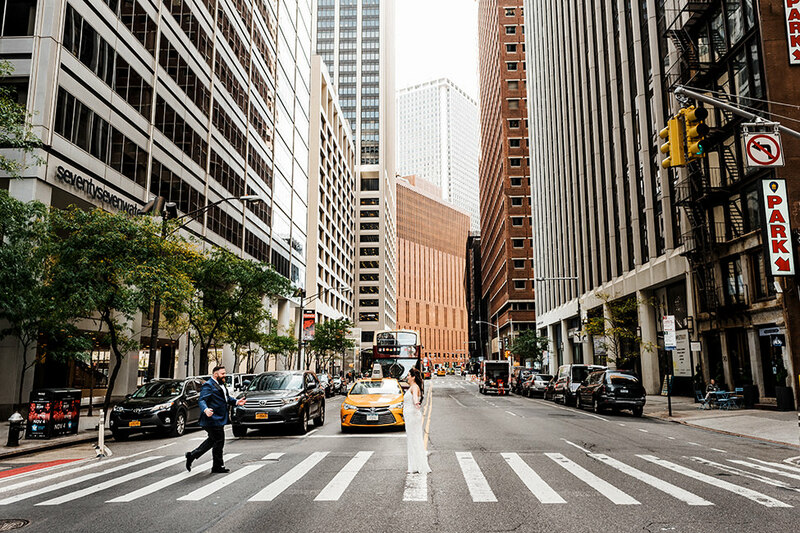 When your love for each other stops traffic in the busy streets of New York City. 5. 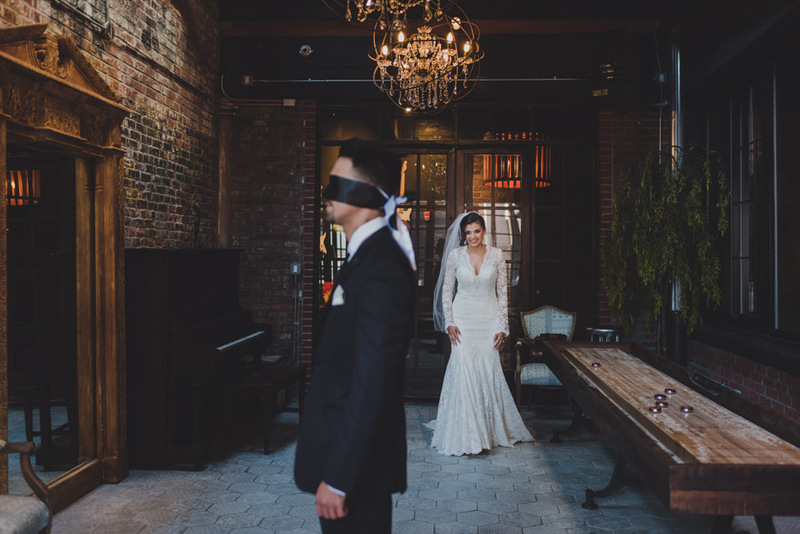 This blindfolded Groom hasn’t a clue of the beauty he’s about to behold. The anticipation! 6. 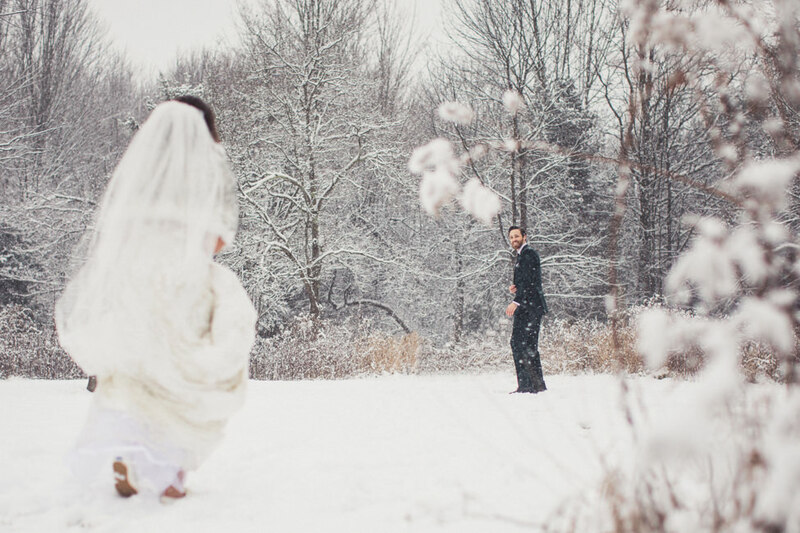 Trekking through the snow in your wedding dress to meet your Beloved? 10/10 worth it. 7. 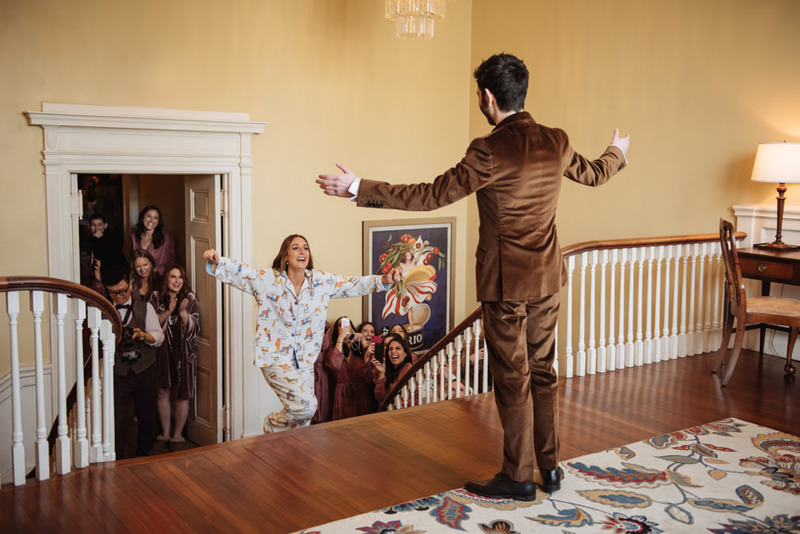 Ever have your first look in pajamas? 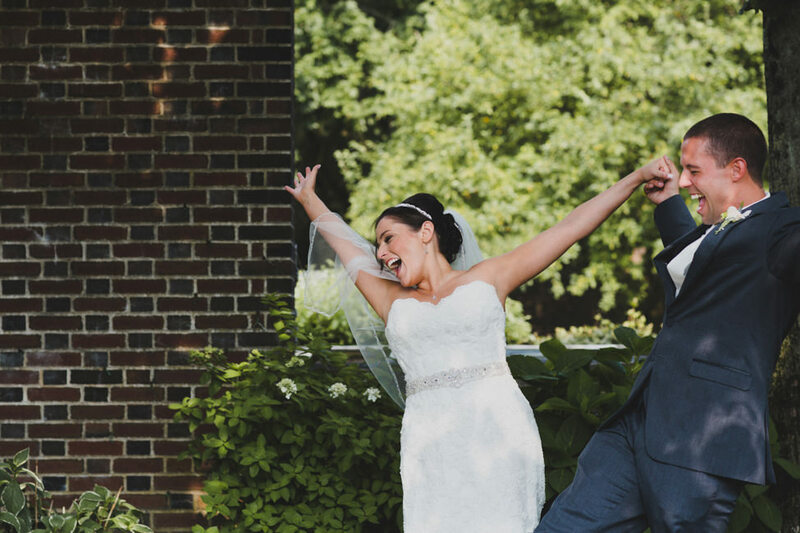 This super cute bride did! 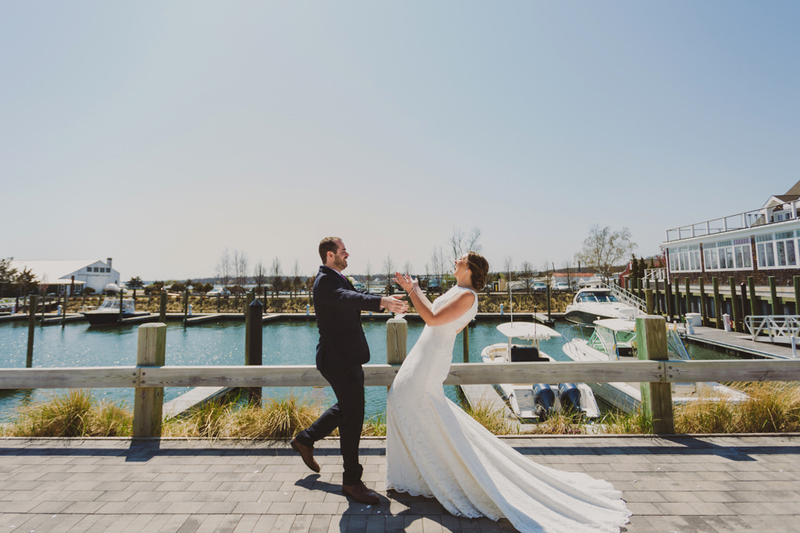 Read the full story of their Rhode Island wedding featured on The Knot here! And when you’re done, come back and see their unique blog post! 8. 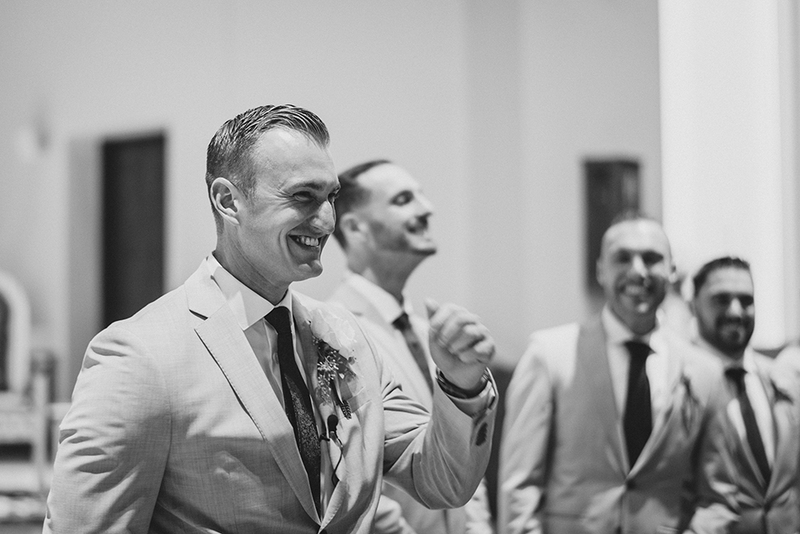 You guys – he hasn’t even seen her yet and this is how gloriously elated he is by just thinking about his bride. 9. 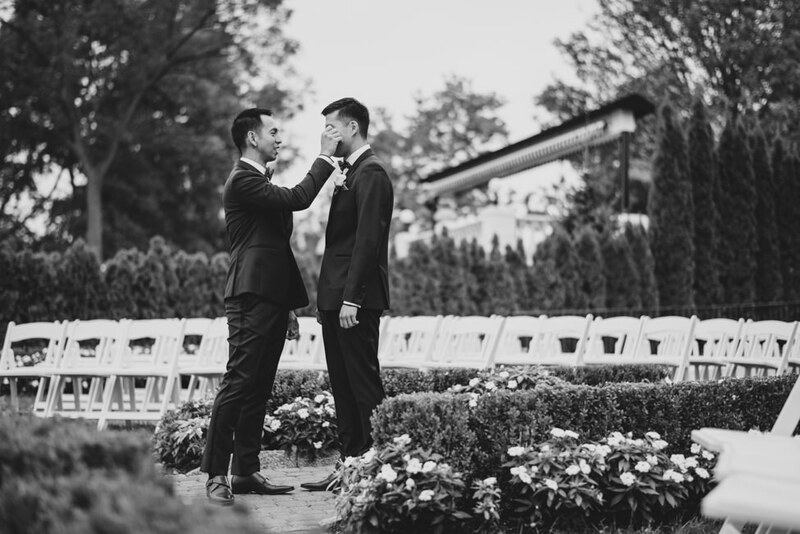 A quiet and tender moment between two Grooms before the whirlwind of wedding celebration begins. 10. Find someone whose love and joy for you cannot be contained. 11. You can touch… but no peeking!! 12. 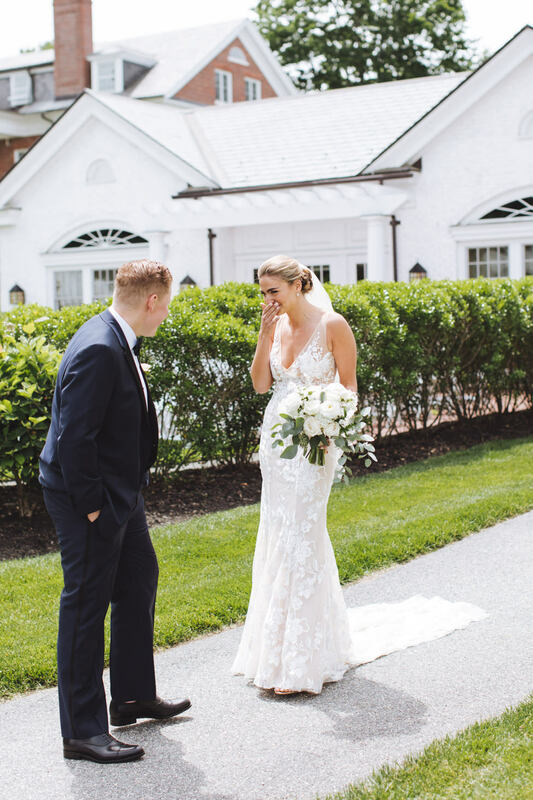 There may be no crying in baseball but you can totally cry on your wedding day. 13. I love you so much you just MAKE ME WANNA SHOUT! 14. 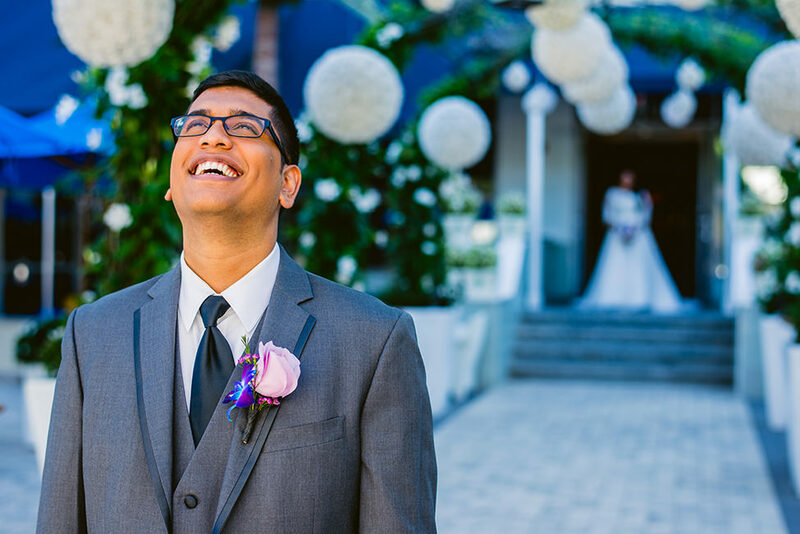 Every one of us is dreaming of our Groom to be this excited to see us walk down that aisle. 15. 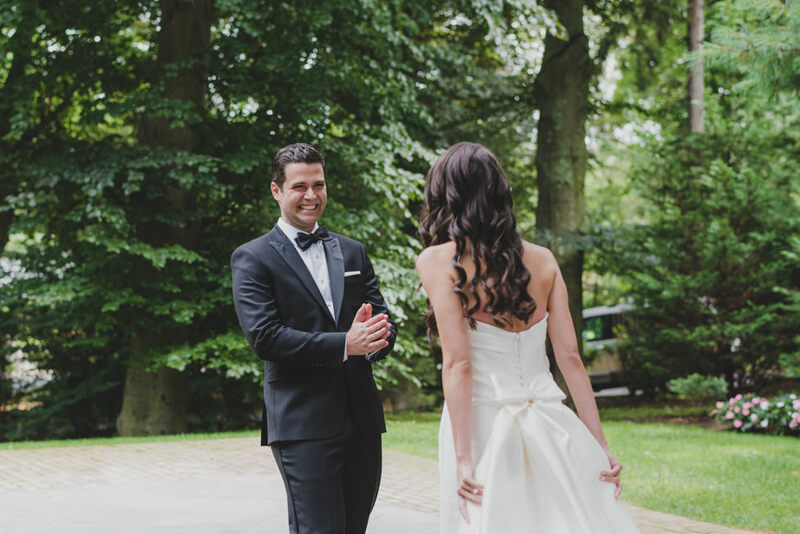 “He’s so pretty I want to cry.” Find out how these best friends of 11 years sealed the deal in their blog post here! 16. When you’re so in love with her that you have to run to hug her. 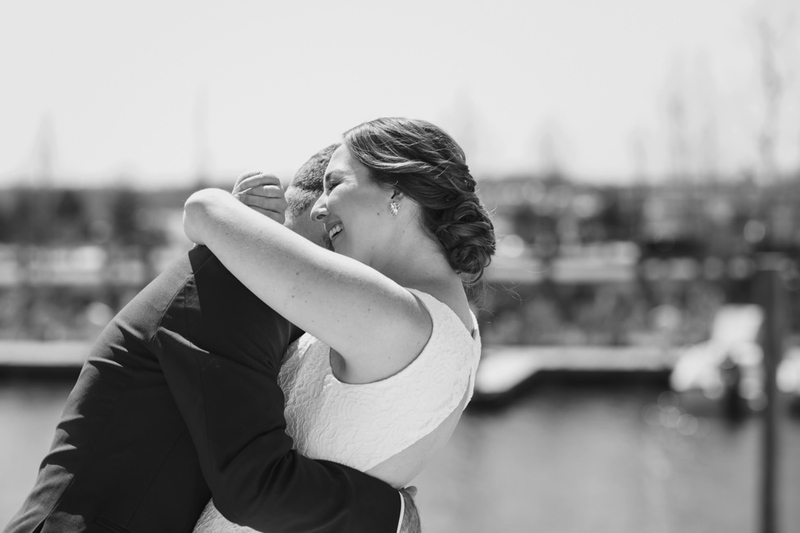 See how this love story unfolded here on the blog! 17. Yes, we love the tears. Every. Time. 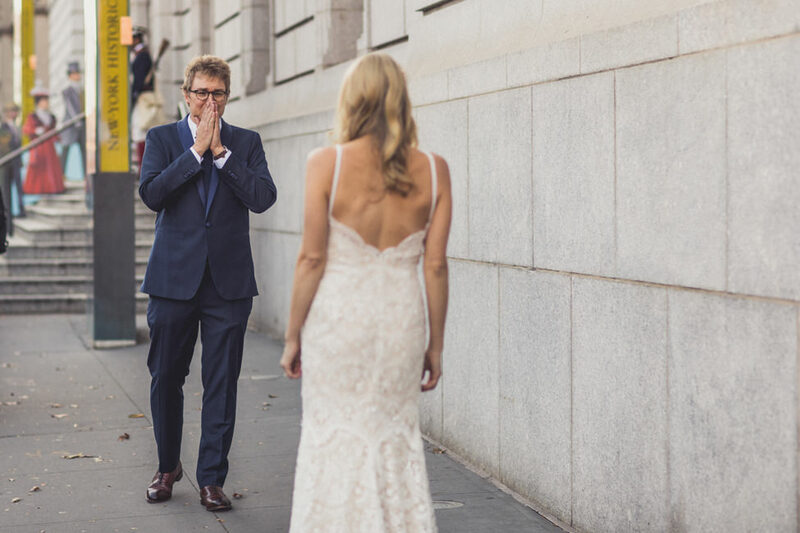 We hope you enjoyed seeing all of these unique and wonderful first look moments shared between couples. What was your favorite? How do you plan on seeing each other for the time or how did it already happen on your wedding day? Share your story with us below!